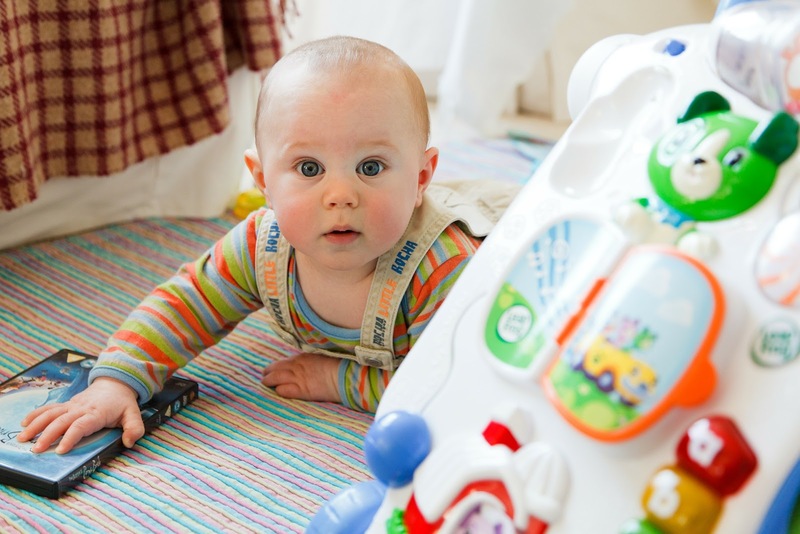 Before your baby starts crawling, it's a good idea to do some basic babyproofing around the house. 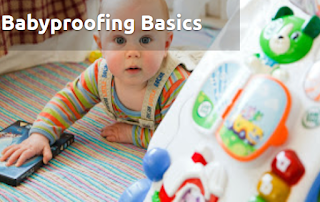 Practicing basic babyproofing can prevent child injuries and even death. Drawers and Cabinets. Stow away all sharp and potentially poisonous substances such as cleaning products and medicines in drawers and cabinets equipped with child locks. Outlets. Outlets are extremely potentially hazardous and just happen to be right at baby eye level. Make sure all outlets, including the ones on your power strips, are covered with the plastic inserts or full plate covers. Safety Gates. Safety gates are vitally important at the top and bottom of all stairways to prevent baby from falling. They can also be placed in doorways to keep baby out of certain rooms. Pool Safety. Far too many kids drown in their pools every year. Make sure pools are fenced or gated off, that the doors to the outside of the house are always locked and kids are never near a pool unsupervised. Anchor Furniture. Some pieces of furniture are prone to toppling, especially if a little one tries climbing up it. Make sure tvs, bookcases, dressers and more are tethered to the wall to prevent toppling. Strangling Hazards. Get down on baby's level and look for any stangulation hazards. Some of these may include wires, cables, blind cords. Get these items out of baby's reach or protect them with a wire guard. Common Sense. A lot of baby proofing just requires you to use common sense. Be vigilant, don't leave your baby unattended and keep dangerous objects away from baby. Sharp, poisonous, hot, choking hazards, potentially strangulating and otherwise dangerous objects need to be covered and kept away from your little one.